How to watch The Italian Job (2003) on Netflix Portugal! Sorry, The Italian Job is not available on Portuguese Netflix, but you can unlock it right now in Portugal and start watching! With a few simple steps you can change your Netflix region to a country like South Africa and start watching South African Netflix, which includes The Italian Job. 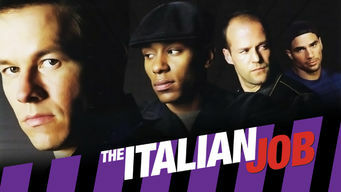 We'll keep checking Netflix Portugal for The Italian Job, and this page will be updated with any changes. The Italian Job is not available in Portugal BUT it can be unlocked and viewed! A clever thief masterminds a major heist amid the waterways of Venice, Italy -- but a betrayal by one of his own spells disaster. A master thief’s brilliant heist goes to hell. To get even, he'll need the right team ... and a bigger plan. There is a way to watch The Italian Job in Portugal, even though it isn't currently available on Netflix locally. What you need is a system that lets you change your Netflix country. With a few simple steps you can be watching The Italian Job and thousands of other titles!